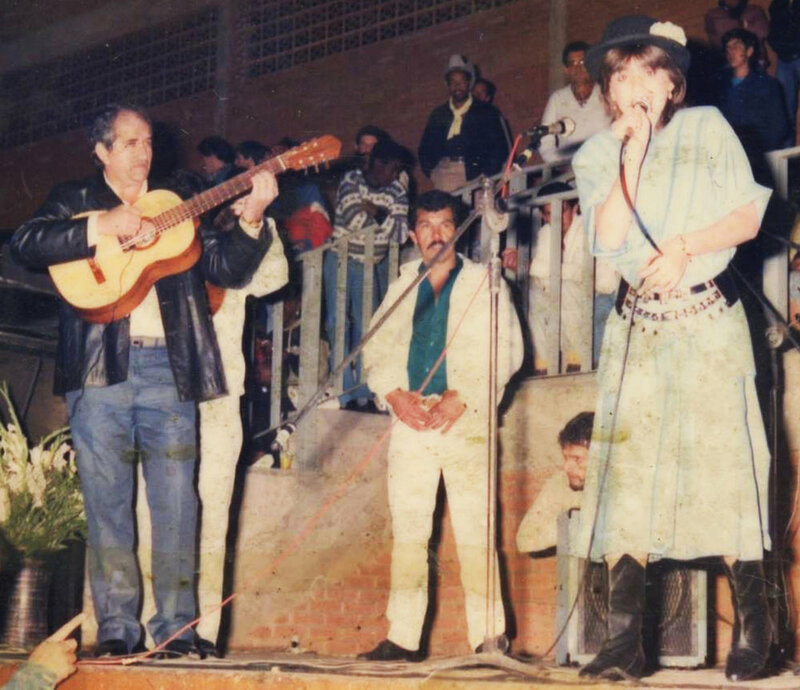 Born in Poços de Caldas, Brazil, Fabiana Passoni recalls singing when she was just 6 years old. "My father sang for me a song he composed called Mulher Delicada (Delicate Woman). We would sit on the couch and he would compose other songs and I would sing along with him. He taught me the art of interpretation and how to play to an audience. He was responsible for shaping my early musical career." 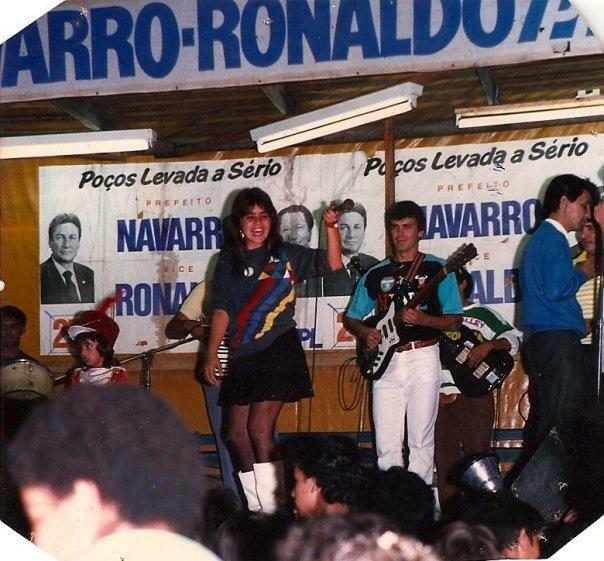 After much early success singing sertaneja, carnival, and rock, Fabiana ran a very successful music school in her hometown before travelling to the United States. While in New York City, Fabiana began singing bossa nova jazz fusion to American audiences. Legendary artists such as Ella Fitzgerald and Leny Andrade influenced her style. She finally found her voice after moving to Los Angeles in 2007 and began composing songs for her debut album, É Minha Vez. Fabiana’s three-year battle with breast cancer put her on a journey not only of survival but a discovery of her own personal musical style. With joyful rhythms and a velvety voice, Fabiana released the acclaimed Naturalmente Brasil in 2011 featuring 12 original tracks. The album exemplified her fresh interpretive manner and accentuated her distinct sultry, Brazilian voice. Composed in the midst of her battle with cancer, chemotherapy and pregnancy, Fabiana’s dreams of continuing her career never faltered even among many setbacks. Chosen by the Brazilian International Press Awards’ 2012 Colégio Eleitoral composed of U.S. based Brazilian groups and community organizations as best Brazilian Female Singer living in the U.S. confirmed Fabiana’s ability to connect her fans to her music. Later that year, Fabiana was selected to perform in the hit musical Loving the Silent Tears. This performance, alongside other famous world class singers and dancers for a sold out Shrine Auditorium in Los Angeles, California (6,600) was an evening to behold. Fabiana's Dim The Lights (EP) was released on January 15th, 2013. Focusing on 7 popular cover songs from the 70's and 80's, Fabiana used her unique, heartfelt interpretations and sensual voice woven in a gambit of Brazilian rhythms. These 'remakes' in bossa nova, baião, and samba embraced a broad range of American/English styles and rhythms. Her next release, Let Your Love Rise (EP) was released on June 5th, 2014. It featured her first jazz orginal with English lyrics; Let Your Love Rise. The 'flip side' is a bossa nova version of the James Brown hit I Feel Good. A final bonus track on the EP is a refreshing remake of the 1974 hit Jazzman. This EP spent over 14 weeks on the Smooth Jazz Independent Top 40 Chart. Fabiana's latest EP, Inner Bossa (EP) U.S. national radio release and promo champaign began May 15, 2015. Inner Bossa remained on the Smooth Jazz Top 50 chart for 24 consecutive weeks & 18 weeks on the RadioWave Internet Top 100 Smooth Jazz Chart. Fabiana continues to perform, create, and record. Her songs are a combination of jazz fusion with the older rhythms of Brazil such as bossa nova, baião, and samba. Her interpretations are passionate, sensual and exciting. Her live performances are a celebration of Brazilian soul and culture – rich in percussion and expression with a relentless zeal for life.